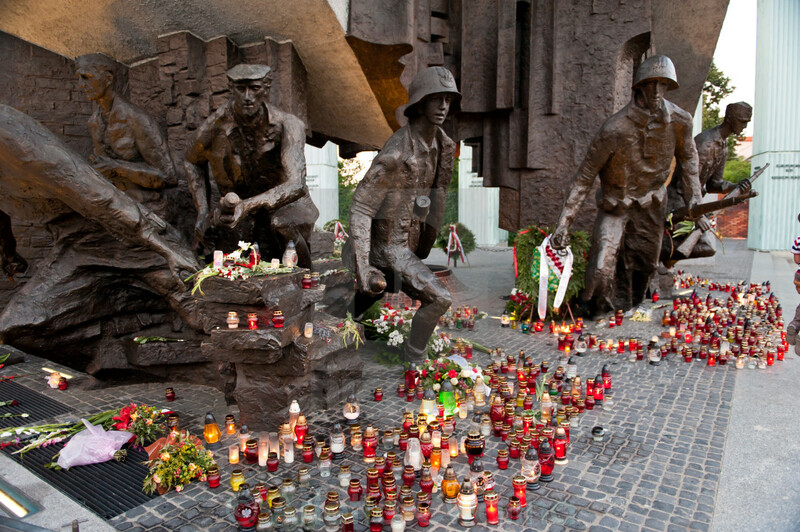 Plenty candles at anniversary on Uprising Warsaw monument, used candles after commemoration anniversary in 2015, August. Tourists visiting Polish capital travel places. Evening in summer, horizontal orientation. Rights managed, editorial use only.